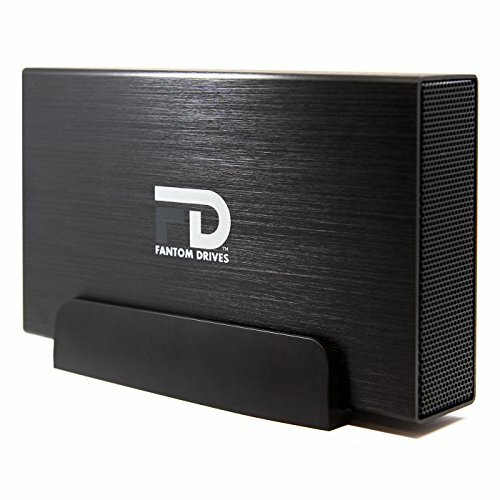 Fantom Drives Gforce/3 USB 3.0 hard drives are the newest and fastest external disk drives available. With the latest generation hi-speed USB 3.0 interface, the Fantom Gforce/3 features a maximum bus speed of 5Gb/sec... That's 10 times faster than with USB 2.0! Fantom Gforce/3 USB 3.0 hard drives are also backwards compatible with USB 2.0 connections. Fantom Gforce/3 USB 3.0 hard drives features the ruggedness and durability you've come to expect from Fantom Drives complete with a fan-free design for a virtually silent operation. Choose from the available capacities from 500GB, 1TB, 2TB or 3TB for maximum flexibility at the speed of 5Gb/sec!